In 1996, Larry and Sergey became Stanford computer science grad students, begin collaborating on a search engine called BackRub. BackRub operates on Stanford servers for more than a year—eventually taking up too much bandwidth to suit the university. In 1997, Larry and Sergey decide that the BackRub search engine needs a new name. After some brainstorming, they go with Google—a play on the word “googol,” a mathematical term for the number represented by the numeral 1 followed by 100 zeros. The use of the term reflects their mission to organize a seemingly infinite amount of information on the web. Lets Have a look at the overall history of Google during 13 years. Sun co-founder Andy Bechtolsheim writes a check for $100,000 to an entity that doesn‘t exist yet: a company called Google Inc.
Google sets up workspace in Susan Wojcicki‘s garage at 232 Santa Margarita, Menlo Park. Google files for incorporation in California on September 4. Shortly thereafter, Larry and Sergey open a bank account in the newly-established company‘s name and deposit Andy Bechtolsheim‘s check. Larry and Sergey hire Craig Silverstein as their first employee; he‘s a fellow computer science grad student at Stanford. “PC Magazine” reports that Google “has an uncanny knack for returning extremely relevant results” and recognizes us as the search engine of choice in the Top 100 Web Sites for 1998. We outgrow our garage office and move to new digs at 165 University Avenue in Palo Alto with just eight employees. Yoshka, our first “company” dog, comes to work with our senior vice president of operations, Urs Hoelzle. Charlie Ayers joins as Google’s first chef. He wins the job in a cook-off judged by the company‘s 40 employees. Previous claim to fame: catering for the Grateful Dead. We win our first Webby Awards: Technical Achievement (voted by judges) and Peoples’ Voice (voted by users). We announce the first billion-URL index and therefore Google becomes the world’s largest search engine. Google Toolbar is released. It’s a browser plug-in that makes it possible to search without visiting the Google homepage. Our first public acquisition: Deja.com’s Usenet Discussion Service, an archive of 500 million Usenet discussions dating back to 1995. We add search and browse features and launch it as Google Groups. 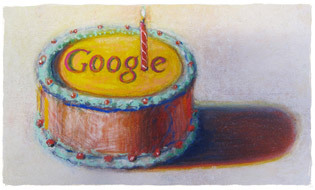 In celebration of Google’s birthday, here’s a look back at Google’s birthday doodle since 2002 with history and developments made in Google. The first Google hardware is released: it’s a yellow box called the Google Search Appliance that businesses can plug into their computer network to enable search capabilities for their own documents. For April Fools‘ Day, we announce that pigeons power our search results. We release Google Labs, a place to try out beta technologies fresh from our R&D team. You can now search for stuff to buy with Froogle (later called Google Product Search). American Dialect Society members vote “google” the “most useful” Word of the Year for 2002. We move to our new “Googleplex” at 1600 Amphitheatre Parkway in Mountain View, giving 800+ employees a campus environment. For April Fools‘ we announce plans to open the Googlunaplex, a new research facility on the Moon. Google SMS (short message service) launches; send your text search queries to GOOGLE or 466453 on your mobile device. Google Desktop Search is introduced: You can now search for files and documents stored on your hard drive using Google technology. We launch the beta version of Google Scholar, a free service for searching scholarly literature such as peer-reviewed papers, theses, books, preprints, abstracts and technical reports. The Google Print Program (since renamed Google Book Search) expands through digital scanning partnerships with the libraries of Harvard, Stanford, University of Michigan and Oxford as well as the New York Public Library. Our first Google Maps release in Europe is for the U.K.
For April Fools‘, we announce a magical beverage that makes its imbibers more intelligent, and therefore better capable of properly using search results. My Search History launches in Labs, allowing you to view all the web pages you‘ve visited and Google searches you‘ve made over time. Personalized Homepage (now iGoogle) is designed for people to customize their own Google homepage with content modules they choose. We launch Google Talk, a downloadable Windows application that enables you to talk or IM with friends quickly and easily, as well as talk using a computer microphone and speaker (no phone required) for free. 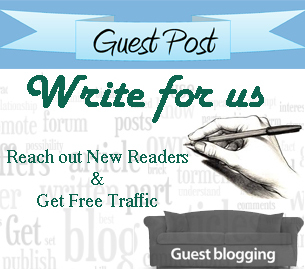 Google Blog Search goes live; it‘s the way to find current and relevant blog postings on particular topics throughout the enormous blogosphere. Googlers volunteer to produce the first Mountain View book event with Malcolm Gladwell, author of “Blink” and “The Tipping Point.” Since then, the [email protected] program has hosted more than 480 authors in 12 offices across the U.S., Europe and India. We announce Picasa Web Albums, allowing your to upload and share your photos online. The Oxford English Dictionary (OED) adds “Google” as a verb. We announce Google Checkout, a fast and easy way to pay for online purchases. Star Trek‘s 40th Anniversary Convention in Las Vegas features a Google booth showcasing tools appropriate for intergalactic use. Featured Content for Google Earth includes overlays from the UN Environmental Program, Discovery Networks, the Jane Goodall Institute and the National Park Service. Together with LitCam and UNESCO‘s Institute for Lifelong Learning, we launch the Literacy Project, offering resources for teachers, literacy groups and anyone interested in reading promotion. Google Custom Search Engine launches, giving bloggers and website owners the ability to create a search engine tailored to their own interests. We announce a partnership with China Mobile, the world‘s largest mobile telecom carrier, to provide mobile and Internet search services in China. The [email protected] series kicks off with Senator Hillary Clinton, the first of several 2008 Presidential candidates, including Senator Barack Obama and Senator John McCain, to visit the Googleplex. We introduce traffic information to Google Maps for more than 30 cities around the U.S. This April Fools‘ Day is extra busy: not only do we introduce the Gmail Paper Archive and TiSP (Toilet Internet Service Provider)—we lose (and find) a real snake in our New York office! Street View debuts in Google Maps in five U.S. cities: New York, San Francisco, Las Vegas, Miami and Denver. We announce a partnership with Salesforce.com, combining that company‘s on-demand CRM applications with AdWords. We unveil several “green” initiatives: RechargeIT, aimed at accelerating the adoption of plug-in hybrid electric vehicles, the completion of our installation of solar panels at the Googleplex, in Mountain View, and our intention to be completely carbon-neutral by the end of 2007. We also announce the Climate Savers Computing Initiative, in collaboration with Intel, Dell and more than 30 other companies. We ask users for their interpretation of how Gmail travels around the world, and receive more than 1,100 video responses from more than 65 different countries. Google.org announces five key initiatives: in addition to the previously-announced RE<C and RechargeIT, there is a new dedication to solutions that can predict and prevent crises worldwide, improve public services and fuel the growth of small enterprises. Google Sites, a revamp of the acquisition JotSpot, debuts. Sites enables you to create collaborative websites with embedded videos, documents and calendars. Google Website Optimizer comes out of beta, expanding from an AdWords-only product. It‘s a free website-testing tool with which site owners can continually test different combinations of their website content (such as images and text), to see which ones yield the most sales, sign-ups, leads or other goals. We introduce a collection of 70+ new themes (“skins”) for iGoogle, contributed by such artists and designers as Dale Chihuly, Oscar de la Renta, Kwon Ki-Soo and Philippe Starck. At a developer event, we preview Google FriendConnect, a set of functions and applications enabling website owners to easily make their sites social by adding registration, invitations, members gallery, message posting and reviews, plus applications built by the OpenSocial developer community. We release Google Health to the public, allowing people to safely and securely collect, store and manage their medical records and health information online. With the launch of Google Site Search, site owners can enable Google-powered searches on their own websites. We launch Gmail Labs, a set of experimental Gmail features, including saved searches and different kinds of stars, which let you customize your Gmail experience. We provide Street View for the entire 2008 Tour de France route—the first launch of Street View imagery in Europe. We work with the band Radiohead to make a music video of their song “House of Cards,” using only data, and not cameras. Street View is available in several cities in Japan and Australia—the first time it‘s appeared outside of North America or Europe. Google Suggest feature arrives on Google.com, helping formulate queries, reduce spelling errors and reduce keystrokes. We release an upgrade for Picasa, including new editing tools, a movie maker and easier syncing with the web. At the same time, Picasa Web Albums is updated with a new feature allowing you to ”name tag” people in photos. T-Mobile announces the G1, the first phone built on the Android operating system. At the same time, we release a new Android Software Developer Kit, and the Open Handset Alliance announces its intention to open source the entire Android platform by the end of 2008. The G1 becomes available for purchase in October. We launch Transit for the New York metro region, making public transit information easily available for users of the largest transportation agency in the U.S. Thanks to all of you, Google celebrates 10 fast-paced years. We introduce Google Earth for the iPhone and iPod touch, complete with photos, geo-located Wikipedia articles and the ability to tilt your phone to view 3D terrain. Googlers in Mountain View build a zip line to travel across the small Permanente Creek separating a few of our buildings. In a vote by 5-0, the FCC formally agrees to open up “white spaces,” or unused television spectrum, for wireless broadband service. We see this decision as a clear victory for Internet users and anyone who wants good wireless communications. After we discover a correlation between certain search queries and CDC data on flu symptoms, we release Google Flu Trends, an indicator of flu activity around the U.S. as much as two weeks earlier than traditional flu surveillance systems. We announce the availability of the LIFE photo archive in Google Image Search. Only a fraction of the approximately 10 million photos have ever been seen before. SearchWiki launches, a way for you to customize your own search experience by re-ranking, deleting, adding and commenting on search results. Comments can also be read by other users. We invite musicians around the globe to audition to participate in the YouTube Symphony Orchestra, the world‘s first collaborative online orchestra. Google Friend Connect is available to any webmaster looking to easily integrate social features into their site. Street View coverage more than doubles in the United States, including several states never before seen on Street View (Maine, West Virginia, North Dakota and South Dakota). We partner with publishers to digitize millions of magazine articles and make them readily available on Google Book Search. We kick off January with the launch of Picasa for Mac at Macworld. The Vatican launches a YouTube Channel, providing updates from the Pope and Catholic Church. Together with the New America Foundation‘s Open Technology Institute, the PlanetLab Consortium and academic researchers, we announce Measurement Lab (M-Lab), an open platform that provides tools to test broadband connections. The latest version of Google Earth makes a splash with Ocean, a new feature that provides a 3D look at the ocean floor and information about one of the world‘s greatest natural resources. We introduce Google Latitude, a Google Maps for mobile feature and an iGoogle gadget that lets you share your location with friends and see the approximate location of people who have decided to share their location with you. After adding Turkish, Thai, Hungarian, Estonian, Albanian, Maltese and Galician, Google Translate is capable of automatic translation between 41 languages, covering 98 percent of the languages read by Internet users. We launch a beta test of interest-based advertising on partner sites and on YouTube. This kind of tailored advertising lets us show ads more closely related to what people are searching for, and it gives advertisers an efficient way to reach those who are most interested in their products or services. We release Google Voice to existing Grand Central users. The new application improves the way you use your phone, with features like voicemail transcription and archive and search of all of your SMS text messages. We celebrate our San Francisco office‘s Gold rating from the U.S. Green Building Council‘s LEED (Leadership in Energy and Environmental Design) Green Building Rating System. We see it as a sign that we‘re on track with our approach to building environmentally friendly offices. The White House holds an online town hall to answer citizens‘ questions submitted on Google Moderator. We announce Google Ventures: a venture capital fund aimed at using our resources to support innovation and encourage promising new technology companies. Using our transliteration technology, we build and release a feature in Gmail that makes it easy to type messages in Indian languages like Hindi or Malayalam. Google Suggest goes local with keyword suggestions for 51 languages in 155 domains. Our April Fools‘ Day prank this year is CADIE, our “Cognitive Autoheuristic Distributed-Intelligence Entity” who spends the day taking over various Google products before self-destructing. We announce an update to search which enables people to get localized results even if they don‘t include a location in their search query. For India‘s 15th general election, we launch the Google India Elections Centre, where people can check to see if they‘re registered to vote, find their polling place, as well as read news and other information. Over 90 musicians from around the world—including a Spanish guitarist, a Dutch harpist and a Lithuanian birbyne player—perform in the first-ever YouTube Symphony Orchestra at Carnegie Hall. We rebuild and redesign Google Labs as well as release two new Labs: Similar Image search and Google News Timeline. Later in the month, we introduce Toolbar Labs. We begin to show Google profile results at the bottom of U.S. search pages when people search for names, giving people more control over what others find about them when they search on Google. We release 11 short films about Google Chrome made by Christoph Niemann, Motion Theory, Steve Mottershead, Go Robot, Open, Default Office, Hunter Gatherer, Lifelong Friendship Society, SuperFad, Jeff&Paul and Pantograph. To clear brush and reduce fire hazard in the fields near our Mountain View headquarters, we rent some goats from a local company. They help us trim the grass the low-carbon way! At our second Searchology event, we introduce a few new search features, including the Search Options panel and rich snippets in search results. We launch Sky Map for Android, which uses your Android phone to help you identify stars, constellations and planets. At our second annual Google I/O developer conference in San Francisco, we preview Google Wave, a new communication and collaboration tool. We add a new dashboard to Google Places which gives business owners information, such as what people searched for to see their listing or how many times their listing appeared in search results, about how customers find their businesses in Google Maps. We introduce two new ways to customize your iGoogle page: the iGoogle Showcase, which lets you see your favorite celebrities‘ homepages look like and add gadgets and more from those pages to your own, and nature themes. Google Squared, a new experiment in Labs intended for certain kinds of complex search queries, collects facts from the web and presents them in an organized collection, similar to a spreadsheet. The Google Translator Toolkit is a new set of editing tools that helps people translate and publish work in other languages faster and at a higher quality. Our automatic translation system also learns from any corrections. We announce All for Good. It‘s a single search interface for volunteer activities across many major volunteering sites and organizations that‘s developed using App Engine and Google Base. Many Googlers contributed to the open source project in their 20 percent time. We release a beta version of AdSense for Mobile Applications, which allows developers to earn revenue by displaying text and image ads in iPhone and Android applications. Google SMS is a suite of mobile applications that allows people in Africa to access information—like health and agriculture tips, news and local weather—using SMS on their mobile phones, and includes a marketplace application for finding buyers and sellers of goods. Both the enterprise and consumer versions of Gmail, Google Calendar, Google Docs and Google Talk are now out of beta. We announce that we‘re developing the Google Chrome OS, an open source, lightweight operating system initially targeted at netbooks. We launch Moon in Google Earth on the 40th anniversary of the moon landing. The tool features lunar imagery, information about the Apollo landing sites, panoramic images shot by the Apollo astronauts and narrated tours. The new comics themes for iGoogle range from classic strips like Peanuts to heroes like Batman to alternative comics from all over the world. We add a search options panel to Google Images, making it easier to find the types of images you need. Any active U.S. service member is invited to sign up for a Google Voice account, to help them keep in better touch with family and friends, especially when deployed abroad. We announce a deal to acquire On2 Technologies, a high-quality video compression technology company. New social features come to iGoogle, including social gaming, media-sharing and to-do list gadgets as well as an update feed for friends‘ activities. Google Insights for Search is now available in 39 languages around the world. While we‘re at it, we introduce a forecasting feature and an animated map. We expand the YouTube Partnership Program to include individual popular videos, so you can monetize your viral video and earn revenue even if you aren‘t a member of the Partnership Program. We add Afrikaans, Belarusian, Icelandic, Irish, Macedonian, Malay, Swahili, Welsh and Yiddish to Google Translate, bringing the total number of supported languages to 51—that‘s 2,550 language pairs! 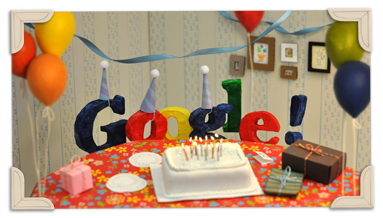 We celebrate the birthday of a product nearly as old as Google itself: Blogger. More than 300 million people visit the blogging site every month, and we‘re proud that it continues to be a medium for people around the world to freely express themselves. The search box on our classic homepage gets bigger. FastFlip, an experiment in Google Labs, lets you quickly browse through recent news, headlines and popular topics like a print magazine, while at the same time offering some of the benefits of online news, like aggregation and search over many top publications, personalization and the ability to share content with your friends. We acquire reCAPTCHA, a technology company focused on Optical Character Recognition (OCR)—the process that converts scanned images into plain text. In an effort to create a more open display advertising ecosystem for everyone, we introduce the DoubleClick Ad Exchange, a real-time marketplace that helps large online publishers on one side; and ad networks and agency networks on the other, buy and sell display advertising space. On the birthday of the “father of science fiction,” we unveil the truth behind a mysterious series of doodles in tribute to H.G. Wells. We introduce Place Pages to Google Maps: one page that organizes all the relevant information about a business, point of interest, transit station, neighborhood, landmark or city—in any part of the world—in one place. Place Pages include rich details, like photos, videos, a Street View preview, nearby transit, reviews and related websites. We begin a series of posts on the Official Google Blog dedicated to the latest and greatest in the world of Google search. Flu Trends, our flu surveillance tool, is now available in 16 additional countries and in 37 languages. We introduce BuildingMaker, a tool for creating buildings for Google Earth that lets you construct a model of a building using aerial photos and simple 3D shapes. We announce an agreement with Twitter to include their updates in our search results. Social Search, a new experiment on Google Labs, helps you find relevant public content from your friends and contacts right in your Google search results. Google Maps Navigation, our turn-by-turn GPS navigation system, includes 3D views and voice guidance—and because it‘s connected to the Google cloud, it always includes the newest map data, lets you search by voice or along a route, and provides live traffic data. A new search feature helps you find music information on the web. When you enter the name of a song, artist or album, or even a snippet of lyrics, your search results will include links to an audio preview of those songs provided by our music search partners. The Google Dashboard provides you with greater transparency and control over the data associated with your Google Account. A new series on the Official Google Blog covers what’s new in Google Apps. We add full-text legal opinions from U.S. federal and state district, appellate and supreme courts to Google Scholar. We think this addition will empower the average citizen by helping everyone learn more about the laws that govern us all. An experimental feature in Labs called Image Swirl builds on new computer vision research to cluster similar images into representative groups in a fun, exploratory interface. By combining automatic speech recognition (ASR) technology with the YouTube caption system, we offer automatic captions in YouTube. Captions can help the deaf and hearing impaired, enable people around the world to access video content through machine translation, improve search and enable users to jump to the exact parts of the videos they‘re looking for. A few months after announcing our open source operating system project, we open-source the project as Chromium OS in order to engage with partners, the open source community and developers. A new homepage design shows only our logo, the search box and the buttons upon first loading, and reveals other links on the homepage, such as Gmail or Image Search, when the user moves the mouse. Google Public DNS is part of our ongoing effort to make the web faster. A DNS resolver converts easy-to-remember domain names into unique Internet Protocol (IP) numbers so that computers can communicate with one another. With our new real-time search feature, you can see live updates from people on popular sites like Twitter, as well as news headlines and blog posts published just seconds before your search—right on the search results page. Just in time for the holidays, we roll out Mac and Linux versions of Google Chrome, as well as extensions for Chrome in Windows and Linux (all in beta). We introduce a few new features to Google Toolbar, including an easy way to share any page on the web, shortened by a new URL shortener (goo.gl). For the first time, YouTube reveals official Most-Watched lists and some of its fastest-rising search terms for the past year. We introduce Nexus One, an exemplar of what‘s possible on mobile devices through Android, as well as a Google-hosted web store aimed at providing people with an easier way to buy a mobile phone. Now, you can upload all file types, including large graphics files, RAW photos, ZIP archives and more to the cloud through Google Docs, giving you one place where you can upload and access your key files online. We state our new approach to business in China: Google will no longer censor search results on Google.cn, and we will work to determine how we might operate an unfiltered search engine within the law, if possible. On International Data Privacy Day, we publish our privacy principles. We‘ve always operated under these principles, but now codify them to share our thinking as we create new technologies. The first-ever Google Super Bowl ad tells a love story through search terms. This is one of many videos made to celebrate the human quests behind search. In time for the Winter Games in Vancouver, we introduce Street View imagery of Whistler Blackcomb Mountains, gathered with a special camera-equipped snowmobile. Google Buzz is a new way to start conversations about things you find interesting—like photos, videos, webpages or whatever might be on your mind—built into Gmail and for mobile. We introduce Safety Mode in YouTube, an opt-in setting to help screen out potentially objectionable content that you may prefer not to see or don‘t want others in your family to stumble across while enjoying YouTube. We announce a plan to build and test ultra high-speed broadband networks, delivering Internet speeds more than 100 times faster than what most Americans have access to today, in a small number of trial locations across the United States. We acquire Aardvark, a company that lets you quickly and easily tap into the knowledge and experience of your friends and extended network of contacts. The next generation of ad-serving technology for online publishers, DoubleClick for Publishers and DFP Small Business, combines Google‘s technology and infrastructure with DoubleClick‘s display advertising and ad serving experience. We acquire Picnik, a site enabling you to edit your photos in the cloud, without leaving your browser. Stars in search is a new feature that makes it easier for you to mark and rediscover your favorite web content. The Google Apps Marketplace is a new online store for integrated business applications that allows Google Apps customers to easily discover, deploy and manage cloud applications that integrate with Google Apps. Bike directions and bike trail data come to Google Maps. Following the January announcement about search in China, we stop censoring our search services–Google Search, Google News and Google Images–on Google.cn, instead redirecting users from Google.cn to Google.com.hk. For April Fools‘ Day, we change our name to Topeka. The change is a tribute to Topeka, Kansas, which changed its name to Google as part of an effort to bring our experimental fiber network to that city. Scientists announce a significant new hominid fossil discovery, made with help from Google Earth, in the Cradle of Humankind World Heritage Site in South Africa. New features for real-time search include the ability to search the archive of public tweets and “replay” the conversation from a particular moment in time, as well as a tool called Google Follow Finder that helps you find new people to follow. Google Places (formerly the Local Business Center) gets a new name along with some new features, like showing service areas and, in some cities, the ability to use an easy advertising program called Tags. We launch a Government Requests tool to give people information about the requests for user data or content removal we receive from government agencies around the world. With Earth view in Google Maps, you can explore Google Earth’s detailed 3D imagery and terrain directly in Google Maps, on your browser. Oregon becomes the first state to open up Google Apps for Education to public schools throughout the state. As part of our efforts to accelerate the deployment of renewable energy, we make our first direct investment in a utility-scale renewable energy project. In response to the Deepwater Horizon oil spill in the Gulf of Mexico, we provide Google Earth imagery of the spill’s spread. We roll out a refreshed look for our search results, with a new, contextual left-hand panel that highlights the most relevant search tools and refinements for your query. At Google I/O, we announce Google TV, which is built on Android and Chrome and gives you an easy and fast way to navigate to television channels, websites, apps, shows and movies. We’re busy at I/O this year, with a handful of other announcements and updates. In celebration of PAC-MAN’s 30th birthday, we release our first-ever playable doodle, complete with all 256 levels and Ms. PAC-MAN. It’s so popular we soon give it a permanent home. You have the option to search more securely with SSL-encrypted Google web search. We release a report on our economic impact in the United States: in 2009, we generated a total of $54 billion of economic activity for American businesses, website publishers and non-profits. We officially acquire AdMob, a mobile display advertising company. You can now personalize your Google.com with a background image. With help from the Marin Bee Company, we install the Hiveplex–four bee hives painted in Google’s colors, situated in a flowered area on our campus. We have our first honey harvest later in the year. We collaborate with the Guggenheim Museum on a global online initiative, called YouTube Play: A Biennal of Creative Video, to discover the most creative video in the world. We catch football fever, offering ways for fans to stay on top of the 2010 World Cup as well as a lot of thorough analysis of soccer search trends. Caffeine, our new indexing system, provides 50 percent fresher results for web searches than our last index, and is the largest collection of web content we‘ve offered. Google Voice is now available to anyone in the U.S.
We stop redirecting Chinese users from Google.cn to Google.com.hk. Instead, we provide a landing page where users can use Google.cn services that we can provide without filtering, and/or click through to Google.com.hk for search. The Google News homepage is redesigned to make your view of news more relevant and easier for you to share interesting stories. We sign an agreement to acquire ITA, a software company specializing in organizing airline data, including flight times, availability and prices. “Life in a Day” is a cinematic experiment to document one day, as seen through the eyes of people around the world. We acquire Metaweb, a company that maintains an open database of things in the world. We announce an agreement to purchase the clean energy from 114 megawatts of wind generation at the NextEra Energy Resources Story County II facility in Iowa. Google Images gets a new look, designed to make it easier for you to take advantage of some of the powerful technology behind Images. Google Apps for Government, our newest edition of Google Apps, includes the same Google applications offered to businesses and everyday users, with specific measures to address the policy and security needs of the public sector. We will not continue to develop Google Wave as a standalone product. We acquire Slide, a social technology company with an extensive history of building new ways for people to connect with others across numerous platforms online. With Verizon, we announce a joint policy proposal for an open Internet. Voice Actions for Android are a series of voice commands that let you control your phone just by speaking. If you’re in the U.S., you can now call any phone directly from Gmail. Realtime Search gets a new standalone homepage, along with more tools for exploring and refining real-time results. “The Wilderness Downtown” is a musical experience created by writer/director Chris Milk with the band Arcade Fire and Google, built with Google Chrome in mind using HTML5 and other technologies. Priority Inbox, an experimental way of handling information overload in Gmail, automatically sorts your email by importance, using a variety of signals. We celebrate Google Chrome’s second birthday with a new release of the browser that’s three times faster than the original beta. Google Instant predicts what you’re interested in and shows you search results as you type so you can quickly get to the information you’re looking for. Our new Family Safety Center is a one-stop shop with info for parents and teachers on how to keep kids safe online. A new online Transparency Report gives people tools to see where governments are demanding that we remove content and where Google services are being blocked. We announce the five winners of Project 10^100. We celebrate the 50th anniversary of “The Flintstones” with a Google doodle. Brazil, Ireland and Antarctica imagery comes to Street View. Now, three years after we first launched Street View in five U.S. cities, you can explore all seven continents at eye level! YouTube and Yoko Ono salute John Lennon on what would have been his 70th birthday. Self-driving cars! Our experimental technology logs more than 140,000 miles. We invest in the Atlantic Wind Connection (AWC) backbone, which provides enough renewable wind energy to serve approximately 1.9 million households. Google Apps for Education hits the 10 million user mark. We give $5 million in grants to non-profit organizations that are working to develop new approaches to journalism in the digital age. Place Search is a new kind of local search result organized around places, enabling you to find what you’re looking for nearby. Now you can know what you’re getting before you click with Google Instant Previews, which shows you a snapshot of each search result. With Boutiques.com, fashion-savvy shoppers can create their own online boutiques or browse boutiques curated by celebs, stylists and designers. 3D trees arrive on Google Earth. Mobile editing comes to Google Docs. It’s storybook time—we share an online guidebook about browsers and the web. Hotpot, a local recommendation engine powered by you and your friends, is launched. In 2011, it becomes part of Google Places. Google doodles migrate to your smartphone. With the Google eBookstore, bibliophiles everywhere can browse and search through more than 3 million ebooks, including hundreds of thousands for sale. Gingerbread is the latest and fastest version of the Android platform. The Google Books Ngram Viewer graphs and compares words and phrases over time, showing how their usage has waxed and waned over the years. In 2010, we contributed $184 million to charitable organizations, including Google Grants, Google.org tech projects and product support for non-profits. With more than 120 million Chrome users (up from 40 million in 2009), we open the Chrome Web Store for business, and introduce a pilot program for Chrome OS notebooks. We announce that co-founder Larry Page will become CEO in April 2011. Eric Schmidt will be Executive Chairman. The first episode of the YouTube World View speaker series airs with President Obama answering citizen questions following his State of the Union address. In the midst of protests in Egypt, we introduce a service called Speak to Tweet: Dial a phone number, leave your tweet as a voicemail and we’ll publish it for you—meaning anyone can have a voice, even without an Internet connection. The Google Art Project lets you virtually tour 17 of the world’s best museums and explore high res images of more than 1,000 works of art. google.com/weddings debuts with custom templates for Sites and Docs so you can organize all the info you need to plan your nuptials. Google One Pass lets publishers set their own prices and terms for their digital content, while we handle payment technology with Google Checkout. Google Social Search is now more comprehensive, and social results from people you care about are mixed in with your results based on relevance. A new search algorithm that affects 11.8% of our queries makes further improvements in search results. Gridlock begone: Google Maps Navigation now routes you around traffic, so you can spend more time doing and less time waiting. Instant Previews come to mobile devices. Following the devastating earthquake in Japan, our crisis response team and Tokyo office work overtime to assemble resources to help, including Person Finder and an information page with links to pages where you can donate. Google for Nonprofits puts all our tools for nonprofits under one umbrella to help U.S.-based nonprofits make an even bigger difference. The @GoogleTalks team uploads its 1000th video to YouTube. Kansas City, Kansas will be the first community to benefit from our ultra high-speed broadband network, aimed at providing Internet access more than 100 times faster than what most Americans have today. The new +1 button lets you publicly give something a “thumbs up,” helping your friends and contacts find the best stuff when they search. +1‘s also help show you useful recommendations on the topics you’re interested in, right when you want them—in your search results. We establish two new Google domains in Iraq and Tunisia. Personalize your search results by blocking certain unwanted domains from appearing. We‘re busy this April Fools‘ Day: Gmail motion lets you control Gmail with your body and a new exercise program, Chromercise, promises to deliver the fitter fingers you‘ve always dreamed of. We commit up to $100 million in AdWords matching funds to the Startup America Partnership to help jump-start the economy. This same month, we give $12 million in grants to museums in New York, London, California, Chicago and Boston. You can now add your local knowledge to the map with Google Map Maker for the U.S.
Charlie Chaplin’s 122nd birthday is the occasion for our first-ever live-action Google Doodle. We invest $168 million in a solar energy power plant in California’s Mojave Desert; sign a power purchase agreement for wind energy in Oklahoma; and invest approximately $100 million in the Shepherds Flat Wind Farm, anticipated to be the largest wind farm in the world. A Google a Day is a new daily puzzle that can be solved using your creativity and clever search skills on Google. We acquire airline data organization software company ITA. AdWords advertisers receive free phone support. The world goes crazy over the royal wedding of Prince William and Kate Middleton, and we‘re no exception, airing it live on YouTube. At Google I/O, we focus on on Android, launching Music Beta by Google, and Chrome, announcing the first Chromebooks for sale. Our latest Chrome experiment, “3 Dreams of Black,” is a voyage through three dream worlds set to the collaborative album ROME. Google Transit goes to Washington, D.C.
Our U.S. economic impact for the year 2010 is $64 billion. Voters crown seven-year-old Mateo Lopez the U.S. Doodle 4 Google winner. We invest $157 million in renewable wind energy via the Alta Wind Energy center. We give a sneak preview of Google Wallet, which lets you tap to pay and use your phone as your wallet. Google Offers beta kicks off in Portland, Ore. The +1 button is released to sites across the entire web, so you can more easily recommend websites to friends. Schema.org, a collaboration among Google, Bing and Yahoo!, supports a common vocabulary for structured data markup across the web. Rock on: Our playable doodle in honor of guitar inventor Les Paul becomes the most popular Google doodle of all time. Our corporate electric vehicle charging infrastructure is the largest the country. We invest $280 million to help finance solar installations for homeowners. We acquire Admeld to help major publishers get the most out of the rapidly changing and growing display ad landscape. We announce image and voice search on the desktop as well as Instant Pages, which gets the top search result ready in the background while you’re choosing which link to click. The Google+ project—real-life sharing, rethought for the web—launches. All our products start getting a design makeover, beginning with our homepage. Talented young scientists wow the judges at the inaugural Google Science Fair. Mind the gap: London public transit directions come to Google Maps. AdWords Express is a faster and simpler way for small businesses to start advertising online in under five minutes. Choreographers Pilobolus and OK Go collaborate with us on All is Not Lost, our latest Chrome experiment. 2-step verification is now available in 40 languages and in more than 150 countries to help people keep their Google Accounts secure. We agree to acquire Motorola Mobility. We still love Lucy, and we celebrate her birthday with a Google doodle. The Street View team goes to the Amazon to capture images of the river, surrounding forests and adjacent river communities. Music discovery site Magnifier is our latest complement to Music Beta. You can now +1 a website and choose to share it with your circles on Google+. We share highlights from our environmentally friendly transportation, food and building programs.